People suffering ailments from joint pain to arthritis may have tried numerous products or prescriptions to help alleviate discomfort. But many are turning to cannabidiol or CBD, a phytocannabinoid found in the hemp/cannabis plant. Unlike tetrahydrocannabinol, or THC, CBD doesn’t have an intoxicating behavior on the body. Thus those who use CBD, whether in the form of oil, lotion, food or “vitamins,” don’t experience the “high” associated with cannabis. According to a consumer survey published by consulting firm A.T. Kearney, consumers understand that there is more to cannabis than its psychoactive elements . Kearney’s survey found that 55 percent of consumers would try “therapeutic cannabis” in foods, while 50 percent said as much about vitamins. Forty-three percent said they would try such cannabis in skincare products. CBD contains antioxidants and neuroprotectants, which help regulate the body’s endocannabinoid system, according to the owners of the Agona Center of Wellness & Natures Farmacy in White Oak. CBD targets receptors of the brain and body that treat and prevent physical and mental health issues by maintaining homeostasis (the maintenance of internal stability), the Agona Center website states. 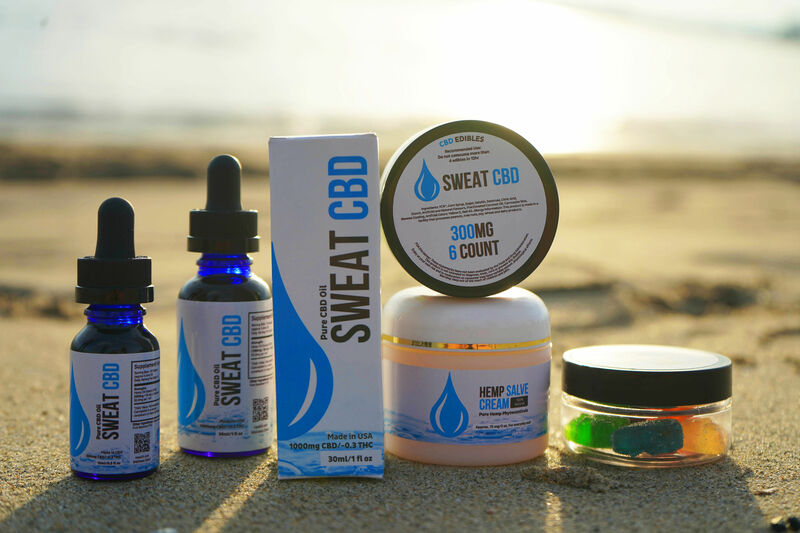 Dr. Daniel Agona and store owner and wife Amy Agona find that their patients and customers already are familiar with CBD products and often seek the tinctures, balms, lotions, gummies, chocolates and soaps available. The Agona Center’s top three sellers are the tinctures, balm and lotion, the couple said. “We found that CBD/HEMP helps with pain, inflammation, sleep problems, anxiety, tissue and joint healing, and arthritis,” Dr. Agona said. “People are looking for something more natural for pain control. It is not habit forming and will not give them a high. But it can take care of pain issues. It’s wonderful,” Amy Agona said. The products the Agona Center sells have lab reports attesting to their high quality, Dr. Agona said. “I do stress they need professional guidance, which we provide,” he said. Customers do not need a medical marijuana card to purchase products made with CBD/Hemp Products, Dr. Agona stated. Among those who might benefit are people who have tried prescription medications with little or no relief and those interested in non-traditional methods of treatment, the couple said. People seeking pain relief and who do not want to take opioids, or who want to discontinue prescribed opioids, may want to consider trying CBD products, Dr. Agona said. The market is growing, Dr. Agona said, with customers and patients now asking about the products they began selling less than a year ago. “I’ve never seen anything like this before. … This is in high demand. We get traffic constantly for these products,” he said. “I had been reading about it for some time and did research. We use it ourselves. It’s quick acting. With CBD and hemp, you get results right away.”. The tincture has helped others who suffer from anxiety issues and panic attacks, she said. With tincture, people can start at a lower dosage, see how they tolerate it, and adjust as needed. The oil has even been shown to be useful for dogs, they said, who may experience pain or arthritis. “We have a patient that takes it for himself and gives it to his Doberman. The dog was having problems walking and getting up. He gave his dog some of the tincture and he is walking around now. The patient says ‘I swear by it,’” Amy Agona said. Product use depends on the health issue an individual is treating, the couple said. That’s why they suggest coming in and speaking with them for guidance. “This product, this company, it’s effective, it’s helping people, which is what it’s all about,” Amy Agona said. CBD oil has been the star of 2018, at least when it comes to health (and beauty, for that matter)…. What is CBD really good for?